They give its wearers "the strength of a forklift but a gentler touch." It looks a bit like a cross between Iron Man’s suit and Ripley’s Power Loader from “Aliens” — and while it won’t kill the alien queen quite yet, it does give its wearer super strength. American robot developer Sarcos Robotics announced today that it’s been awarded a contract by United States Special Operations Command (USSOCOM) to deliver a pre-production, full-body robotic exoskeleton called the “Guardian XO.” And it looks absolutely brutal. 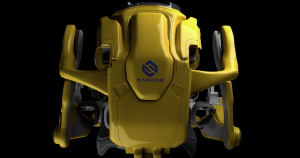 A February press release described Sarcos’ exoskeleton as giving its wearers “the strength of a forklift but a gentler touch.” The XO could be used anywhere from factories and mines to construction sites. The Guardian XO is powered by an on-board battery and can be operated for up to eight hours — its rechargeable battery packs are hot swappable for even more power in the field. Many exoskeletons of its kind had to be powered through a tether hooked up to a power source. Sarcos claims that’s what “held them back from commercialization” in a press release. And Sarcos says that its battery tech has come a long way.